Past Life Psychic Readings - Past Life Regression. Questions on Past Life Healing and Past Life Regression. Why have a past life regression - past life psychic reading? A past life regression can teach you about qualities of yourself. Clear away fears, old patterns through a past life healing. Visit Nirup in Sedona AZ for a past life reading or past life regression. There is a spiritual development and evolution that spans many life times. So we have past lives from previous reincarnations and we will have future lives in yet to come incarnations. A past life reading / past life regression helps us to see what we need to do during our current life time to help us along with our spiritual development and evolution. Nirup is absolutely amazing. It was my first time getting a reading and chakra balance so I didn't know what to expect. I highly recommend her to anyone. Absolutely enlightening! Love it! Thanks Nirup. Oh, and the session recording is absolutely awesome. 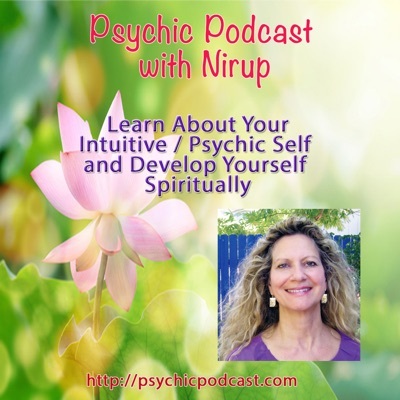 I’ve had three phone sessions with Nirup and I am always pleased with her accuracy, professionalism, and compassionate disposition. I originally found Nirup via google and saw that she had reviews that spoke ardently of her gifts. I’ve enjoyed my sessions to date with Nirup and will continue to seek her guidance in the future as needed. Thank you for all you do Nirup! Click here to buy or learn more. What Career Path Is Right for Me? All content © 1999 - 2018 Psychic Nirup. All rights reserved.